It’s true—plastics pollution in our oceans is a huge concern, affecting the health of our entire marine ecosystem as well as our collective health as humans. That fact alone can seem pretty overwhelming, until you consider the simple fix: Stop using disposable plastics. This is the lesson in personal impact that I had the pleasure of learning while out on the bay in Newport Beach with The 5 Gyres Institute. 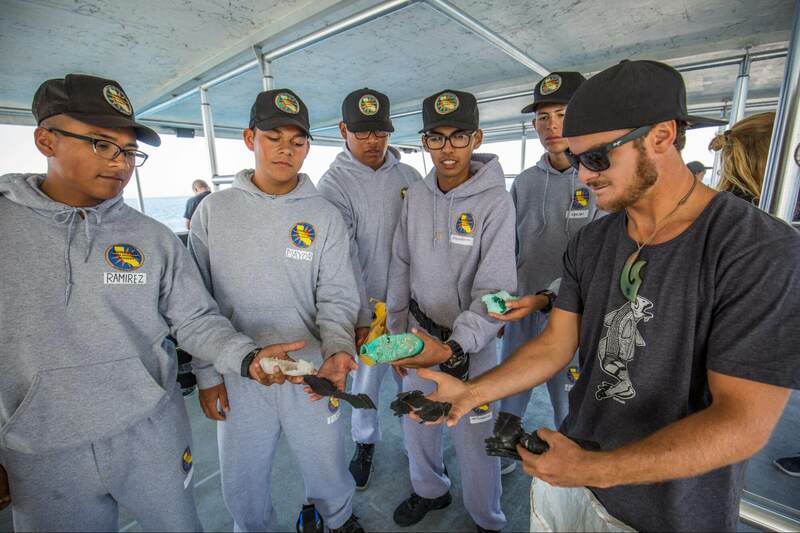 It’s the whole idea behind taking groups of school kids out on the water to show them firsthand how plastic trash—bags, balloons, water bottles, toys, straws, and cups—winds up in the ocean, and how easy it is for animals to nibble on the plastic or become entangled in it. 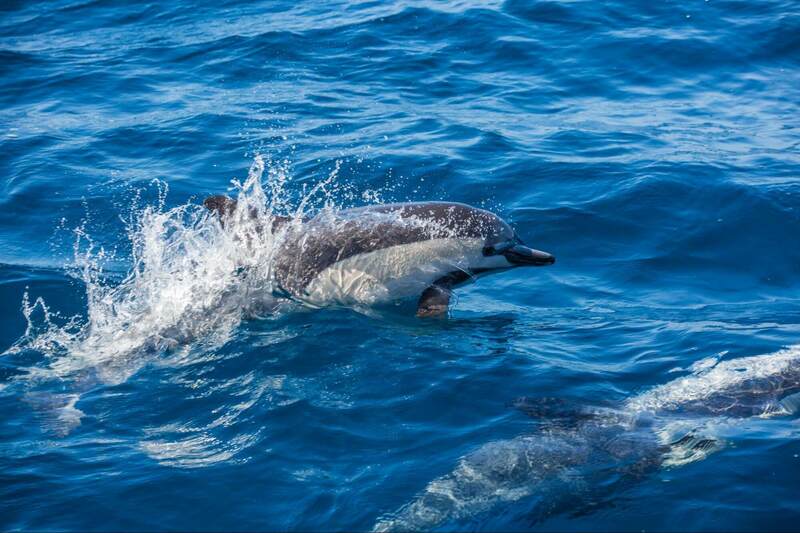 In just under half an hour we were all treated to life-affirming sightings of dolphins playing and seals lounging, while we dragged a net behind the boat to capture floating plastic debris. 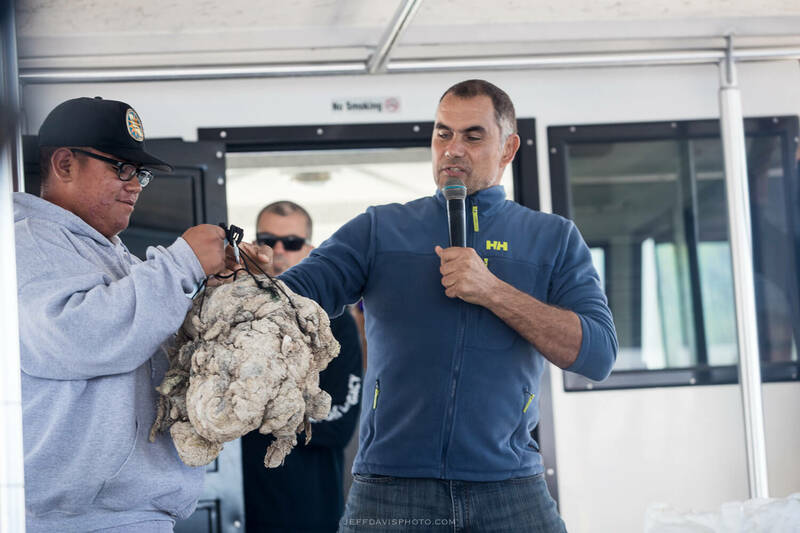 As we trawled for trash, Marcus Eriksen, Co-Founder and Research Director of The 5 Gyres Institute, explained how plastic really doesn’t ever disintegrate; it just breaks down into finer and finer particles known as microplastic. Birds, fish, and sea life ingest the plastic, and that microplastic makes its way up the food chain to us. The sad part is, so many fish and mammals die as a result of plastic pollution—more than 1,200 species are affected. Marcus even shared with us a frizzled, unappetizing tangle of plastic rope and bottle caps plucked from the decomposing remains of a camel in the desert to illustrate how widespread the problem is. 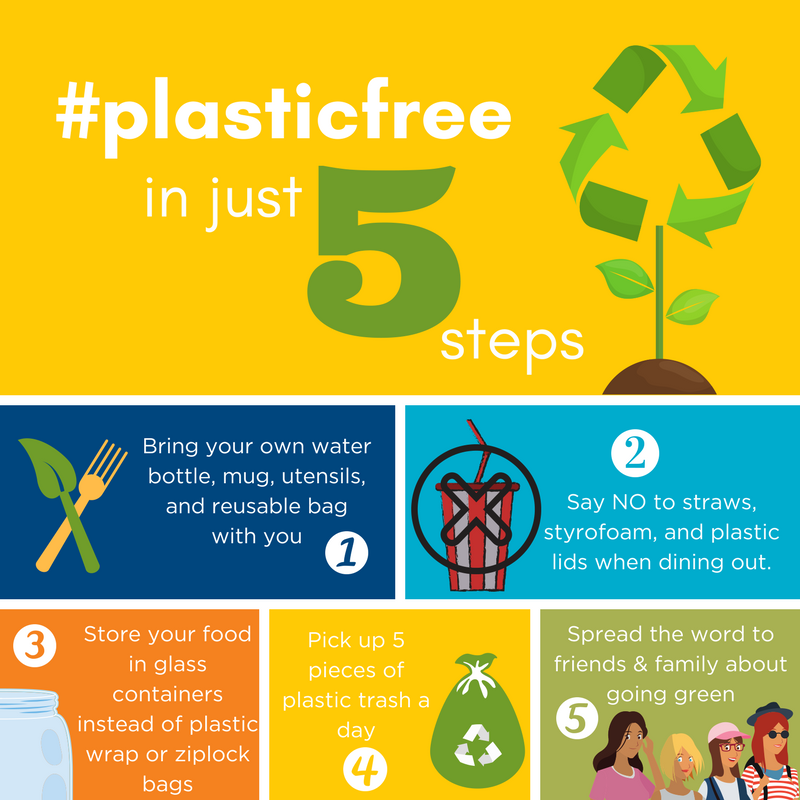 Seemingly simple, everyday choices—what to grab as you’re leaving the house, or keep stashed in your car or backpack—can make a big difference when it comes to keeping plastics out of our landfills, where they can easily make their way to our waterways and oceans. Plastic bags, straws, lids, utensils, bottles, cups, and other single-use items are the most common plastic pollutants, and are relatively easy to eliminate from your daily life. Saying “no thanks” to disposable plastic items is an easy way to be the sea change we all need.